VOL.1 is the first of it's series. All 6 Songs are completely original. Beats were made by SkinnyBlue and ScareCrow. The Lyrics were written and performed by Tha Ominous MakeShift & ScareCrow ! Exec. 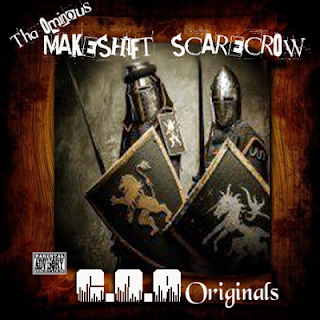 Producer : Tha Ominous MakeShift under Ominous Productions. These exclusive 6 songs are FREE for Download. It's Fast and Easy to do ! Click the Link and give it a few seconds for the player to load up. OR just scroll down and click the DOWNLOAD button. We recommend downloading the project and loading it to your IPOD or whatever device for BEST SOUND QUALITY. Sound Quality is important to us and we want to give you professional sounding music at NO COST to you ! As Always, Thank You All and Enjoy the New Music !